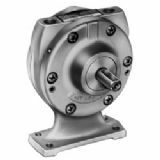 Known industry wide for their rugged construction and reliability, Gast Air Motors are available in many operating and mounting configurations. 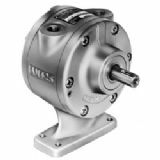 CJS Direct Ltd are official suppliers for the complete range of Gast Air Motors, from the 1AM series through to 1UP, 2AM, 4AM, 6AM, 8AM & 16AM air motors; we are also able to fulfill any requirements on Gast right angle geared air motors plus a range of air motor service and repair kits, mufflers and Gast air motor oil. 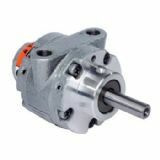 Lubricated Air Motors come in seven basic models up to 9.5 HP (7,1 kW); motor speeds are variable from 300 to 10,000 RPM. 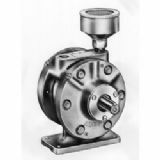 Choose from hub, foot, face, NEMA C-Flange, or Metric D Series interface mountings and clockwise, counter-clockwise, or reversible rotations; four and eight vane models are also available. 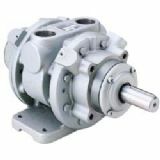 All the Gast air motors are ATEX rated for operation in Zone 1 & Zone 21.